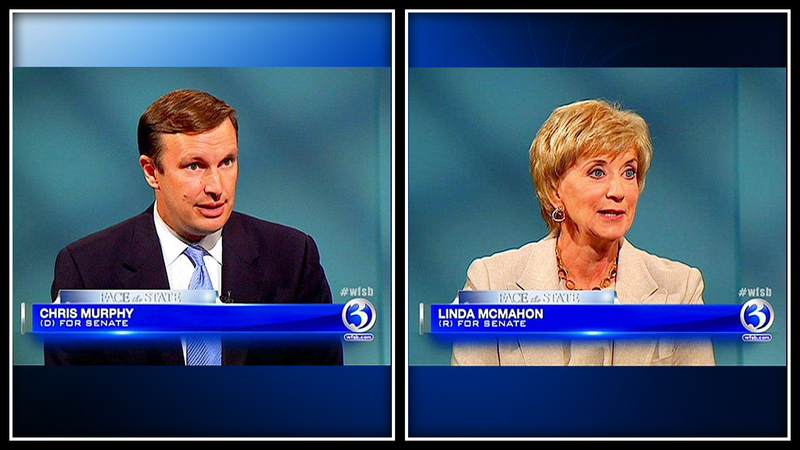 WFSB will host an hour long, commercial free debate between the two candidates for U.S. senate on Sunday, October 7th, at 11AM in the Face the State studio. Both Republican Linda McMahon and Democrat Chris Murphy have accepted our invitation. More details to come. I wonder if we’ll find out who is telling the truth in their commercials. Can’t wait to find out! Sure hope that Dennis House isn’t doing the questioning. He’s TERRIBLE!!! cool.. Mr. Murphy..time to hang up the boots. tired of the same thing with the same results..which leaves this state sucking wind as in the past twenty or so years. We’ve tried it THEIR way too long in this state. Time to clear the boards and let fresh energy in with CT Politics, and hopefully get this state moving again, instead of business and residents moving out. With the debates on 10/7th I hope the interviewers will ask 1 question of each candidate about mcmahon bankruptcy and murphys non payment of debt and then proceed on to the economy. debt job creation, transportation and other issues. I watched 9/23 face the state and 22 minutes were taken up by dennis in asking the rep for both candidates and lowell weicker about bankruiptcy and debt . I want to hear there views on issues conftronting the congress today not their problems. Ask 1 question and move on.